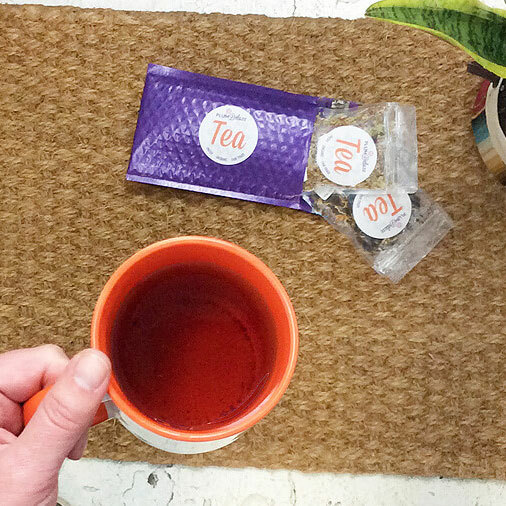 Tea and cookies are more than reason enough to gather friends together for an afternoon. 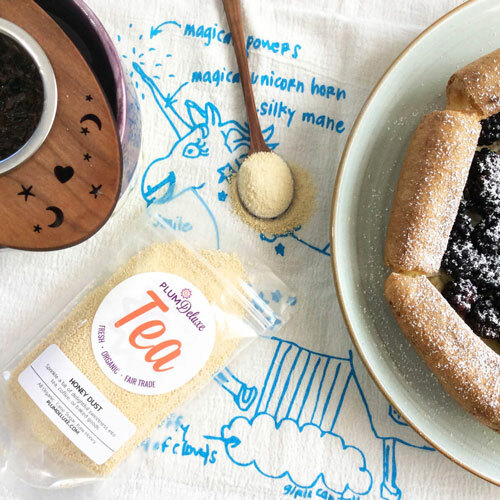 But, why not add the element of good old-fashioned fun to your event with these six tea party games for adults? Having a door prize is a super simple way to get your guests involved, even those who may feel awkward about party games. 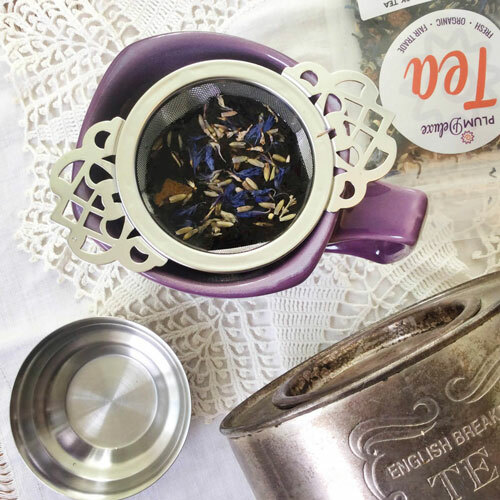 Use a pretty jar that you can give away, filled with candy, sugar cubes, tea bags, or the like. Be sure to count how many items you put in! Place pens and paper next to the jar for your guests to write down their guesses. Halfway through the party, tally all the answers. Whoever chose the number closest to the correct one will take home the jar of goodies for their prize. 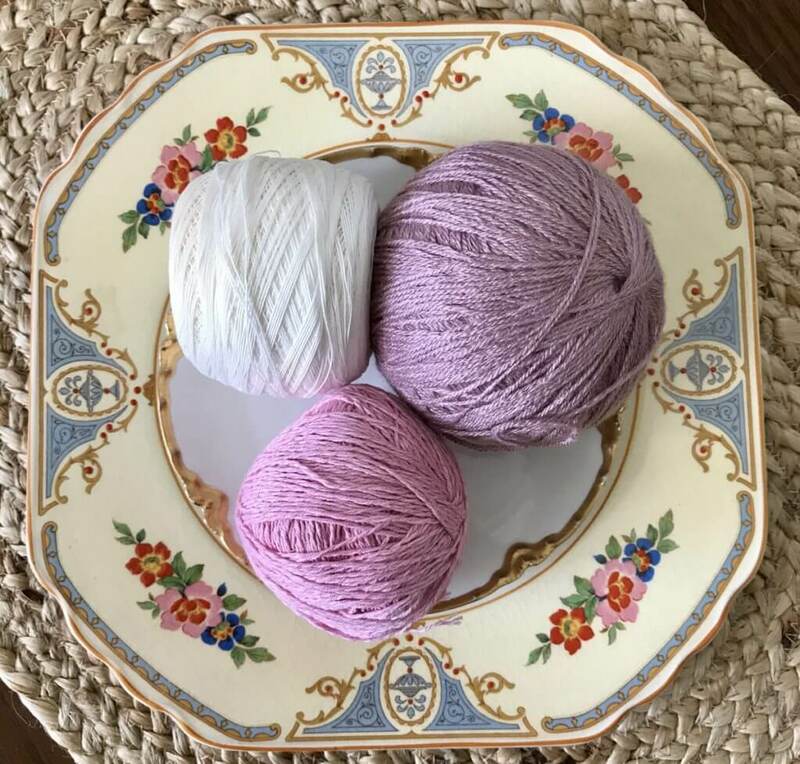 Before your party begins, set up a tray or platter with a number of different items, small or large, tea-related or random. Make one of the items on the tray the prize for this game. 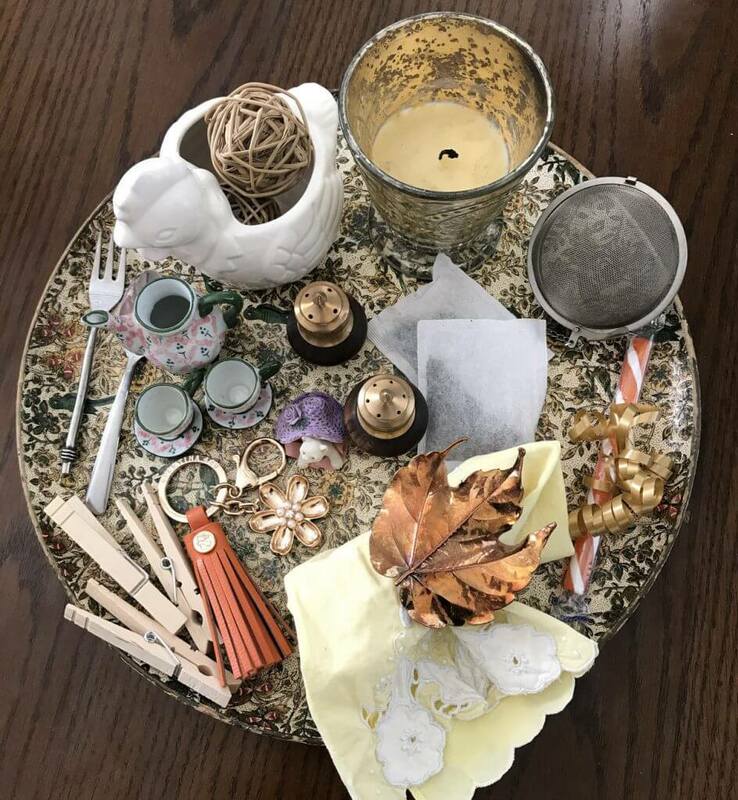 Bring out the tray of items and let your guests look it over for about a minute. Then take the tray away and ask everyone to write down all of the items they remember. The person who has the most correct answers wins the prize! An old-school game you may be familiar with is a word-find game called Boggle; this is a play on that idea. 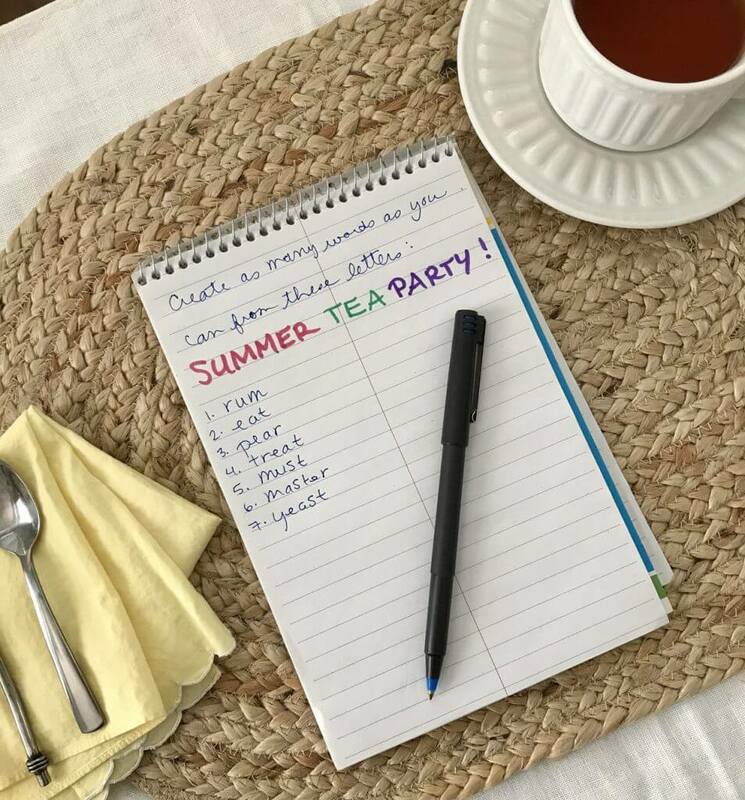 Ask your guests to create as many words as they can from the words “Tea Party.” Or make it a phrase to allow for more words to be created, for example, “Mary’s Summertime Tea Party.” Set the timer for one minute and let the boggling begin. 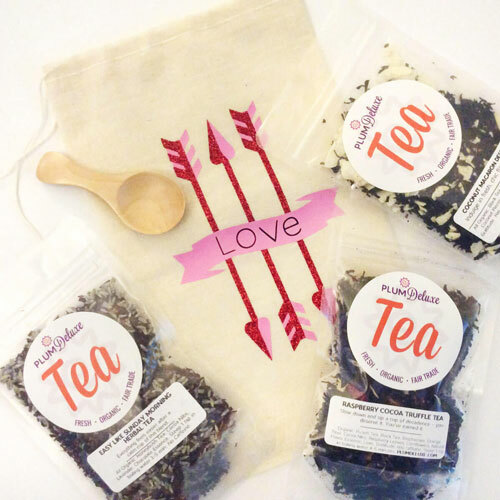 For this next tea party game for adults, you’ll want to acquire some inexpensive tea bags that you don’t mind tossing around. Set up some containers in a grouping on a table and assign a different number to each one. 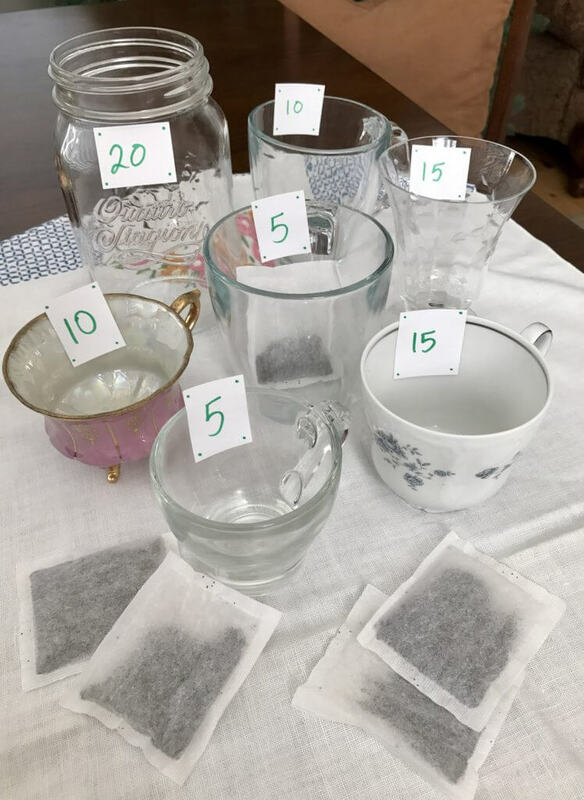 Set this up in such a way that your guests have room to stand back a few feet to toss the tea bags. Choose one of the containers as the prize for this game (maybe a special tea cup or mug). The player who scores the most points wins. 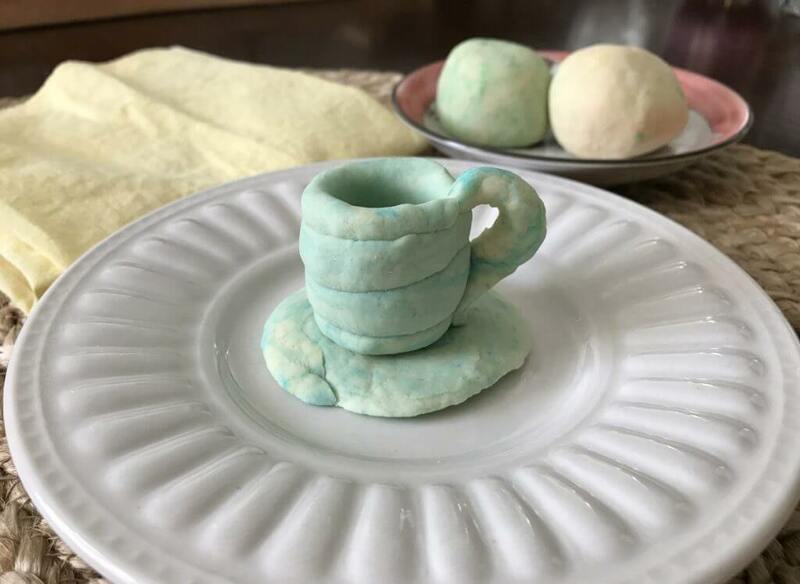 In this game, each player is given a few chunks of different colored Play-Doh, and when the host says “GO,” each person will mold the dough into a small cup and saucer, as creatively as possible, in one minute. When the timer goes off, the sculptors will show off their mini dough cups and the group will vote on whose is best. Mix together 1/2 cup of warm water with a few drops of food coloring. If you want different colors of dough, mix separate batches. Store in airtight container, or discard after use. 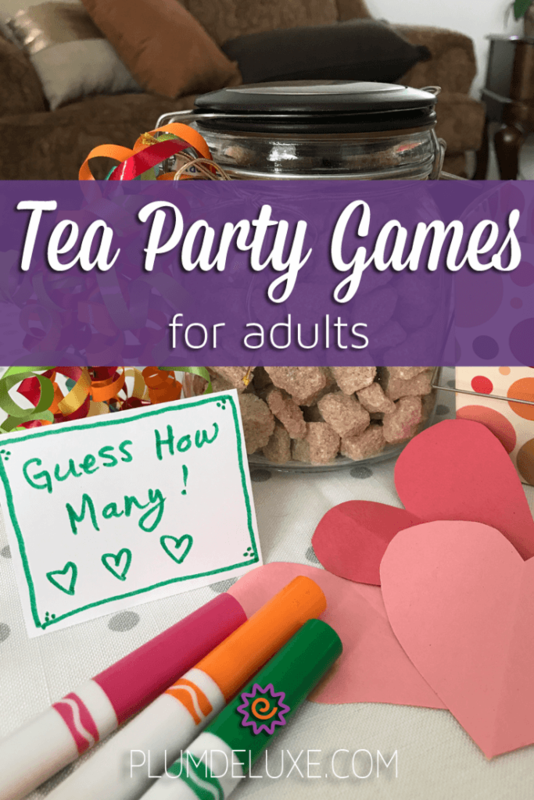 Games provide a great outlet for laughter and cheer, and can easily be incorporated into your next tea party. Check out this article for ideas on hosting a Deluxe Board Game Night. Have some added fun at your next gathering with games!